First of all Happy 2019! 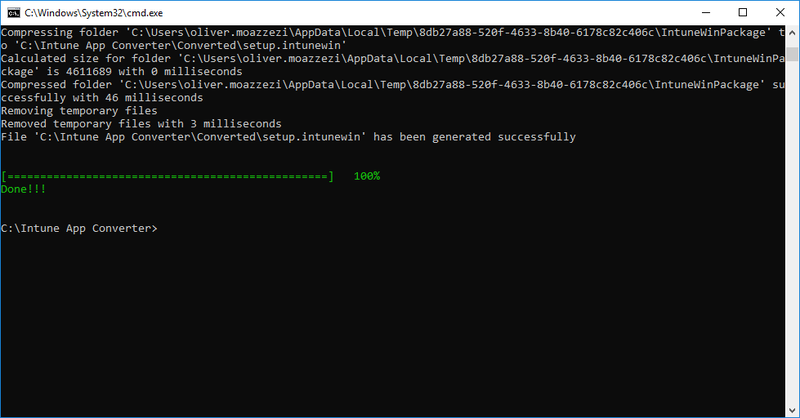 Hopefully by now you are using Microsoft Intune to manage some of your device estate - even if the concentration is purely for mobile and tablet MDM purposes. 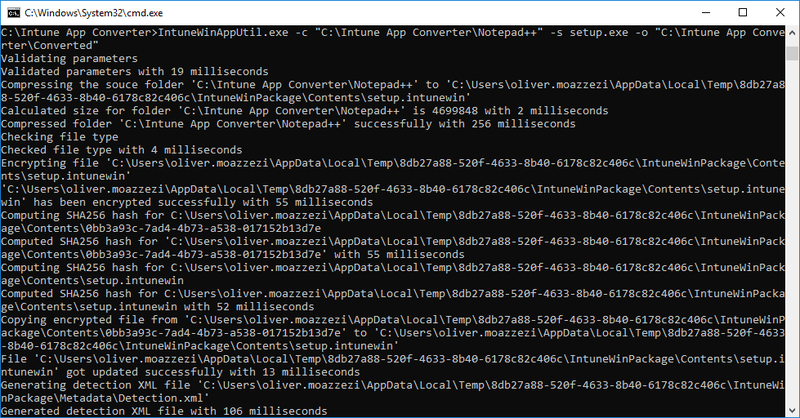 Intune is a great way to manage Windows 10 devices - especially with Autopilot and AAD joins. But how do you push Win32 apps to your devices? In comes the Win32 Application packaging tool. You can get the build from Github here. 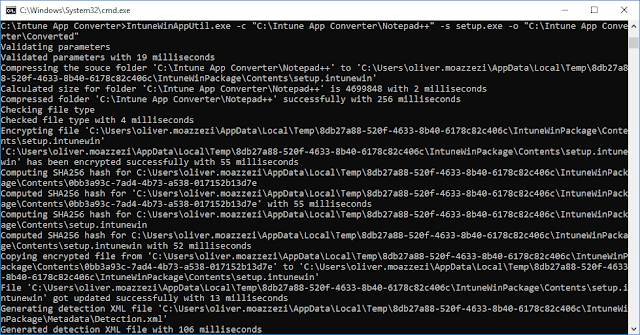 It's fairly easy to use to convert your msi and exe files to the .intunewin standard for uploading into the Intune console. 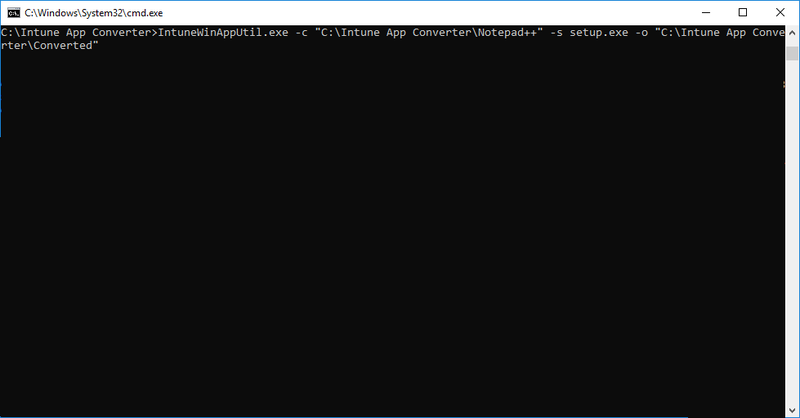 In this example I am packaging Notepad++, in the root of the folder that houses the IntuneWinAppUtil.exe create a folder that houses the application you want to convert, ensuring any ancillary files are included, and also create another folder to push the converted file format out to. "IntuneWinAppUtil.exe -c "Source Folder containing the application files" -s The name of the .exe -o "The output folder to put the .intunewin package to"
The switches are explained below, and -h is for help. This will show usage information for the tool. This will generate the .intunewin file from the specified source folder and setup file. 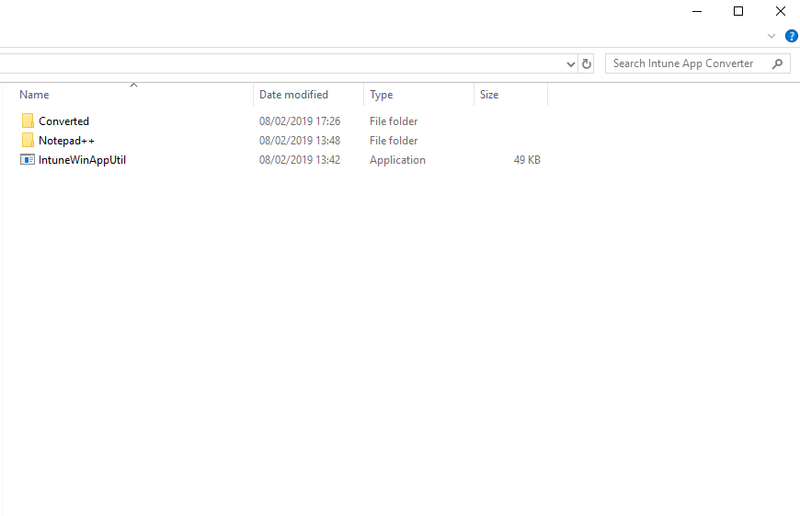 For MSI setup file, this tool will retrieve required information for Intune. If -q is specified, it will be in quiet mode. If the output file already exists, it will be overwritten. Also if the output folder does not exist, it will be created automatically. If no parameter is specified, this tool will guide you to input the required parameters step by step. -c Setup folder for all setup files. 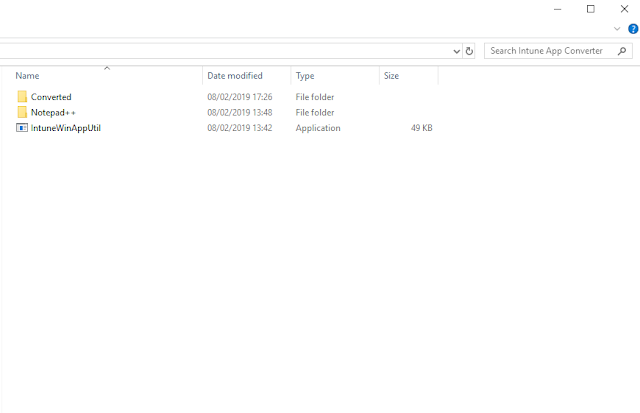 All files in this folder will be compressed into .intunewin file. Only the setup files for this app should be in this folder. -s Setup file (e.g. setup.exe or setup.msi). 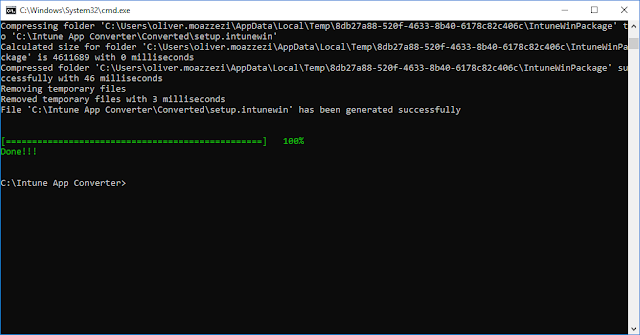 -o Output folder for the generated .intunewin file. It will then package your file. And you'll have your .intunewin packcage to upload to Intune. 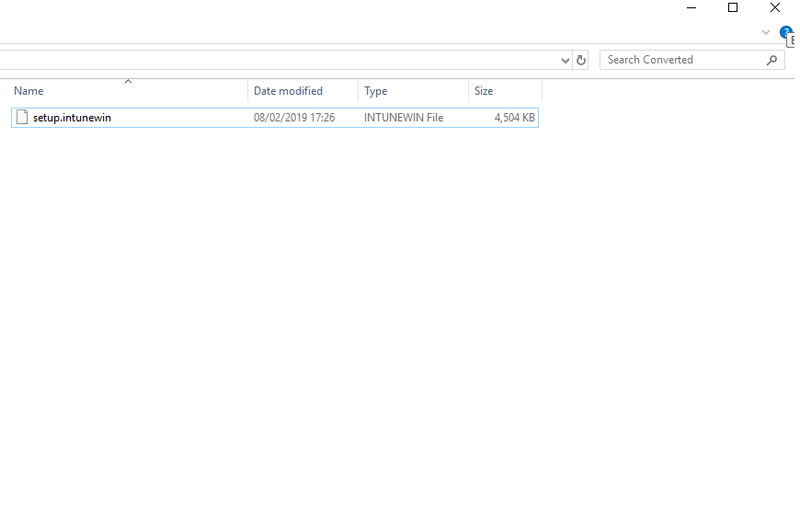 You'll now be able to upload the package to the Intune console.